Dr. Maldonado-Molina’s research program focuses on reducing health disparities in alcohol-related consequences among youth. 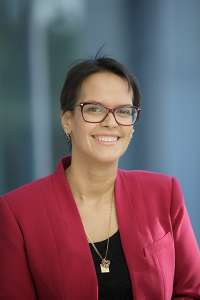 She has published over 70 peer-reviewed studies related to the application of innovative statistical techniques to study the effects of context and structural interventions on behavioral and mortality outcomes, with particular focus among youth and young adults. She is the PI in six research projects at the University of Florida and the Institute for Child Health Policy. She is also a Co-Investigator in NIH projects, including a P50 Center grant from the Pennsylvania State University entitled “Center for Complex Data to Knowledge in Drug Abuse and HIV Behavioral Science” and an R25 project entitled “A Master Course on Power for Multilevel and Longitudinal Health Behavior Studies”. From 2009-2014, she was the PI of a five-year study from the National Institute on Alcohol Abuse and Alcoholism entitled “Alcohol Contextual Influences: Health Disparities and Mortality”. She has also been principal investigator, co-principal investigator, co-investigator or consultant in over 20 externally-funded projects examining the effects of alcohol policies on risky behaviors and health outcomes, and evaluating alcohol, drug use, and delinquency behaviors among minority adolescents. She is the Director of the Family Data Center, and a member of the Interdisciplinary Program in Biomedical Sciences and the MD/PhD Advisory Boards in the College of Medicine at the University of Florida. She received the 2009 New Investigator Award from the National Hispanic Science Network and the 2009 Early Career Prevention Network (ECPN) Award from the Society for Prevention Research for her contributions in the area of statistical applications in the drug use and prevention field. Recently, she received the 2013 and 2015 Exceptional Teacher Award for outstanding teaching accomplishments from the College of Medicine at the University of Florida. She also received the 2013 Distinguished Alumni Award from The Methodology Center at Penn State for significant science contributions to the field of drug use. The goal of Dr. Maldonado-Molina’s research is to reduce health disparities in alcohol use and alcohol-related consequences, with particular focus on improving the health of minority children and adolescents. ICHP Article Listed in Top 25 Most Read Ethnicity and Race Articles of 2013! Maldonado-Molina,M. & Jennings, W. (2016). Commentary on Caetano, Vaeth, Mills, and Canino (2016): Employment Status, Depression, Drinking, and Alcohol‐Use Disorders in Puerto Rico, Alcoholism: Clinical and Experimental Research 40 (5), 942-944. Delcher C., Wang* Y., Wagenaar AC, Goldberger BA, Cook RL, Maldonado-Molina, MM. (2016). Prescription and Illicit Opioid Deaths and the Prescription Drug Monitoring Program in Florida. American Journal of Public Health. doi: 10.2105/AJPH.2016.303104. Jennings, W.G., Reingle Gonzalez, J., Piquero, A.R., Canino, G., & Maldonado-Molina, M.M. (2016). The nature and relevance of risk and protective factors for violence among Hispanic children and adolescents: Results from the Boricua Youth Study. Journal of Criminal Justice, 45, 41-47. Lee D.*, Delcher C., Maldonado-MolinaM., Thogmartin J.R. and Goldberger B.A. (2016). Manners of Death in Drug-Related Fatalities in Florida. J. Forensic Science, 61(3), 735-742, doi: 10.1111/1556-4029.12999. Lynne-Landsman, S.L., Komro, K.A., Kominsky, T.K., Boyd, M.L., and Maldonado-Molina,M. (2016) Early trajectories of alcohol and other substance use among youth from rural communities within the Cherokee Nation. Journal of Studies on Alcohol and Drugs, 77(2), 238-248. Delcher C., Wagenaar A.C., Goldberger B.A., Cook R.L., Maldonado-MolinaM. (2015). Abrupt decline in oxycodone-caused mortality after implementation of Florida’s Prescription Drug Monitoring Program. Drug Alcohol and Dependence, 150, 63-38, doi:10.1016/j.drugalcdep.2015.02.010. Komro, K.A., Wagenaar, A.C., Boyd, M., Boyd, B.J., Kominsky, T., Pettigrew, D., Tobler, A.L., Lynne-Landsman, S.D., Livingston, M.D., Livingston, B., Maldonado Molina, M.M. (2015). Prevention trial in the Cherokee Nation: Design of a randomized community trial. Prevention Science, 16(2): 291-300. Komro, K.A., Livingston, M.D., Kominsky, T.K., Livingston, B.J., Garrett, B.A., Maldonado-Molina, M., & Boyd, M. (2015). 15-minute comprehensive alcohol risk survey: Reliability and validity across American Indian and White adolescents. Journal of Studies on Alcohol and Drugs, 76(1), 133-142. doi: 10.15288/jsad.2015.76.133, PMID: 25486402. Maldonado-Molina, M.M., Delcher, C, & Kim, G. (2016). “The role of alcohol policy in Puerto Rico”. The Encyclopedia of Crime and Punishment. Theoretical Criminology. Maldonado-Molina, M.M., Delcher, C, & Snyder, N. (2014). “Longitudinal designs”. The Encyclopedia of Theoretical Criminology. Jennings, W.G., Maldonado-Molina, M.M., Reingle, J.M. (2011). “General strain theory and Hispanics.” In R. J.R. Levesque (Ed. ), Encyclopedia of Adolescence (pp.1158-1162). New York, New York: Springer. Bernal, G., Varas, N., Bonilla, J., Santos, A., & Maldonado-Molina, M.M. (1998). Depresión y Género: Resultados iniciales de un estudio colaborativo en el Caribe sobre los Estados de Animo (Gender & Depression: Initial results from a Carribean Collaborative Study on Mood Disorders). In M. Brea, E. Rodriguez, & M. Alonso. 30 años de Psicología: Pasado, presente y futuro. Santo Domingo: Editora Universitaria – UASD. pp. 81-97.